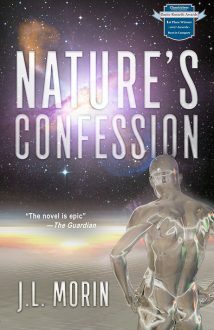 We have 1 paperback copy of Nature's Confession as a book giveaway to our US readers. As governments give $5.3 trillion a year to fossil fuel companies, while the media propagates the idea that solar and wind energy are unprofitable (IRL! ), comes Nature’s Confession, the tale of two teens in a fight to save a warming planet, the universe . . . and their love.